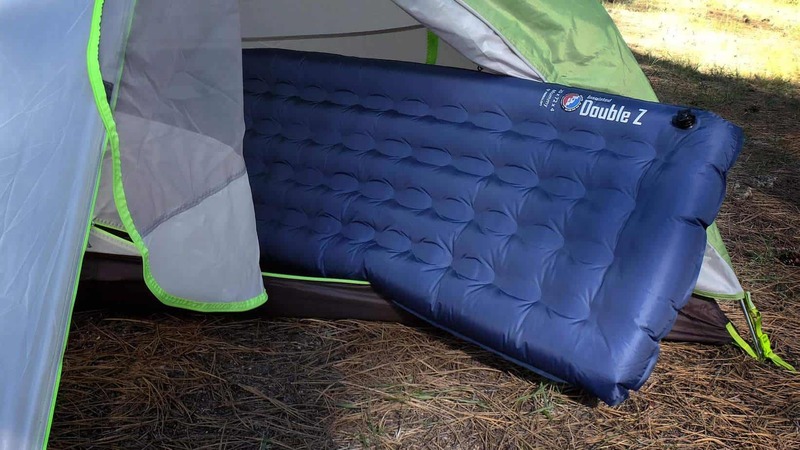 It was less than two years ago when I spent several months compiling a comprehensive review of sleeping pads for a feature in Overland Journal. Hard as it is for me to accept, all that hard work is largely obsolete now as an entirely new crop of pads have taken over the market. This is not a bad thing as pads continue to improve on every measurable metric. This is equally true for pads from Big Agnes, and in particular their latest Insulated Double Z pad. At a full 4-inches thick, the regular Double Z pad was already sublimely comfortable, but anytime the mercury dipped below 40ºF, that large volume of air would make for chilled bones. 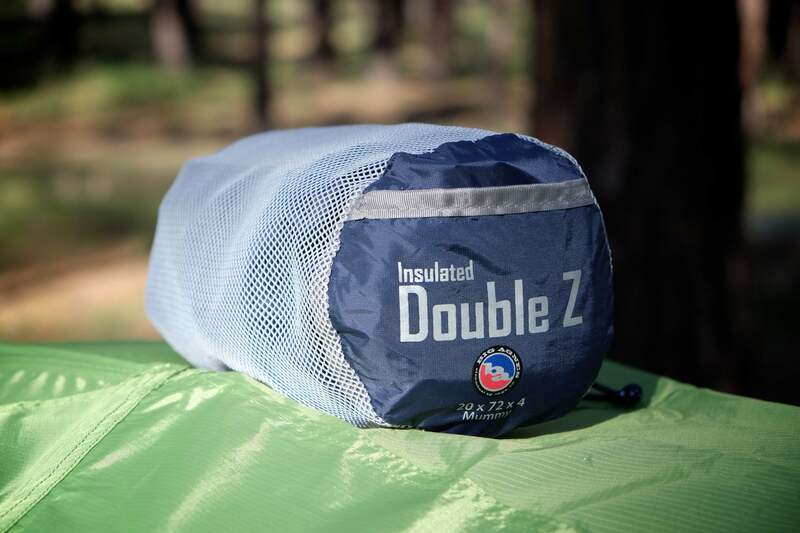 The new insulated Double Z incorporates PrimaLoft® Silver Hi-Loft synthetic insulation to give the pad a 4.5 R-value. That is sufficiently warm enough to keep most sleepers nice and comfy down to temperatures well below freezing. What makes the Double Z such a comfortable sleeper is the unique quilting of the construction. Internal stabilizers welded in place separate the main longitudinal baffles for a surface that feels more like a mattress and perhaps less like a pool floaty. 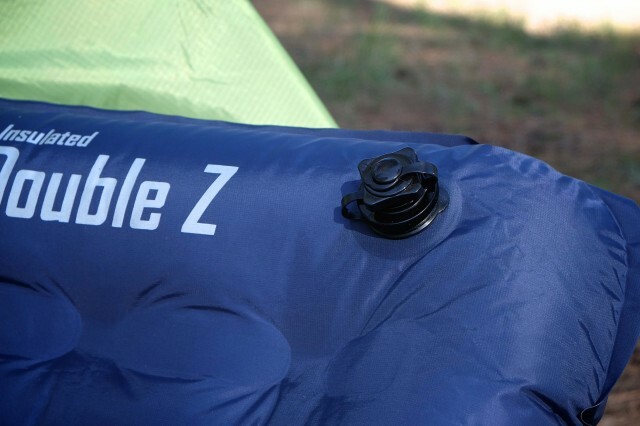 The outer baffles are also slightly oversized helping the sleeper to find the center of the pad to reduce the risk of roll-off, something all but impossible if used within the pad-pocket of a Big Agnes sleeping bag. 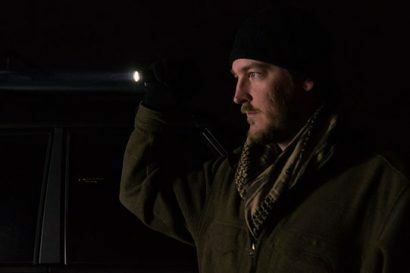 Because the Double Z demands such a high volume of air, the new dual-aperature valve can be opened to add or remove air in big gulps. The one-way check valve of the first layer aids in inflation, although adjusting air pressure is a little tricky. The second layer of the valve opens a large port to expel air quickly. Oddly enough, none of the current Big Agnes pump solutions work with the new valve, but I’m sure that will change soon enough. 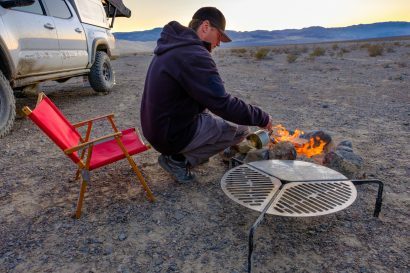 For the overlander, the low 21-ounce weight of the 20×72-inch pad puts the Insulated Double Z squarely in the lightweight category and the rolled size is perfect for motorcycle or even bicycle travel. At a retail price of $109 it also ticks the value box. 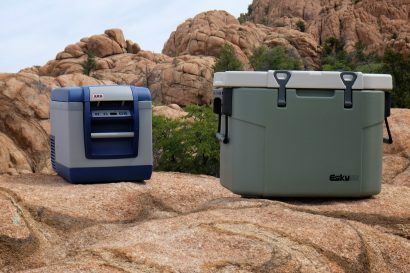 So how does the Insulated Double Z stack up in the backcountry? Better than I expected. I have typically not done well on pads with longitudinal baffles as they always felt too unstable for my liking. The innovative stabilizers within the Insulated Double Z do what they’re intended to do. As one who tends to like a softer pad, the 4-inches of thickness allow me to sleep with lower air pressure without the risk of bottoming out at the hips or shoulders. If I had any minor complaints, it would be with the valve. I wish it made small adjustments to pressure a bit easier, but that’s getting a bit overly critical. All in all, it’s a great pad.